The all new ultimate all-in-one iMac is here to give a boost to your movie and graphic experience. Display: The new iMac has come a long way from the first 15-inch iMac. Take one look and you’ll see just how far. A 21.5-inch or 27-inch display with edge-to-edge glass covers nearly the entire front of the enclosure. When all you see is the display, nothing gets between you and what’s onscreen. Movies, TV shows, websites, photos — everything looks stunning on the new 16:9 widescreen iMac display. LED backlighting: When a display has more pixels, you need to push more light through them to achieve the best picture possible. LED backlighting in the new iMac does exactly that, with remarkable brightness and efficiency. Because the LED backlight doesn’t take up much space, the iMac enclosure stays thin — even with all the high-performance components inside. Higher resolution: The new 21.5-inch iMac features 1920-by-1080 HD resolution. Apple engineers could simply have stretched that resolution up and out for the 27-inch iMac. Instead, they took the display well beyond HD with 2560-by-1440 resolution. That’s 78 percent more pixels than the 21.5-inch iMac. 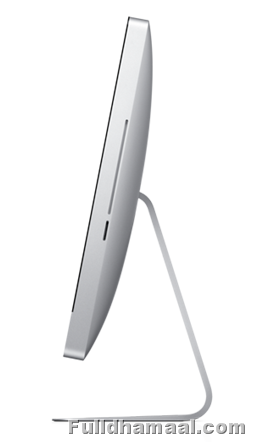 IPS technology: The iMac display is designed to look great from almost any angle. A technology called in-plane switching (IPS) makes this possible. Whether you’re sitting in front of the display or standing off to the side, you’ll get a perfect picture with superb color consistency and no loss of detail. 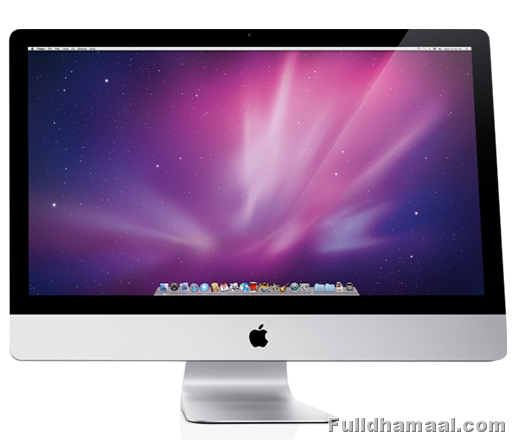 All-in-one: The all-in-one design of the first flat-panel iMac cleaned up the desktop. It put everything you need — display, processor, graphics card, hard drive, optical drive, memory, and more — inside one simple enclosure. 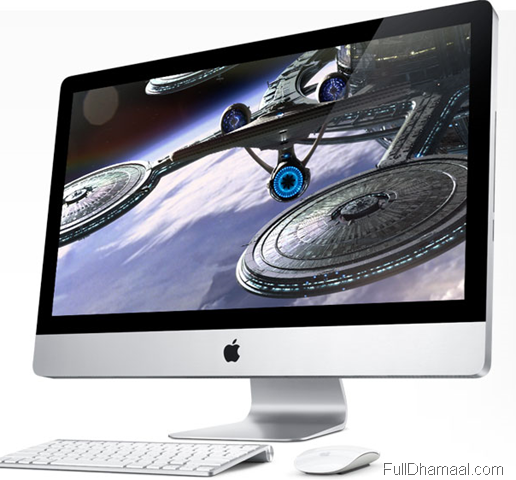 New technology inside and out makes the new iMac a worthy addition to the all-in-one dynasty. Redesigned speakers: New speakers deliver louder, clearer sound with better bass response and less distortion. Clutter-free wireless: iMac embodies simple design that eliminates desktop clutter. So naturally, it’s the first Mac to come standard with the Apple Wireless Keyboard and the new wireless Magic Mouse. Multi-Touch technology: Magic Mouse is designed to do all the things a mouse should do — pointing, clicking, and scrolling — but with no scroll wheel, no trackball, and no visible button. Magic Mouse uses Multi-Touch technology to let you click, scroll, or swipe anywhere on its perfectly smooth, seamless top shell. But the real magic of Magic Mouse is how it knows what you want to do. A chip inside Magic Mouse acts as a brain, detecting the difference between a resting hand, a scrolling finger, a two-finger swipe, and a simple click. It’s the smartest mouse we’ve ever made.